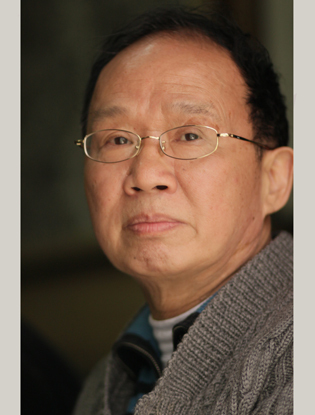 Born in Yongfeng town, Shuangfeng county of Hunan province, Huang Dingchu (1943—2016) had multiple titles: member of the China Artists Association and China Printmaking Artists Association, consultant of Chinese Painting Art Committee of Hunan Artists Association, art editor for Xiangjiang Literature (once a monthly publication in Hunan) in 1974, Deputy Secretary General of Hunan Artists Association in 1984 and landscape painter of Hunan Painting and Calligraphy Research Institute in 1990. Once working on figure printmaking in his early years, Huang later turned to landscape painting and made great achievements. “I didn’t attend art school or receive professional instructions. Deep love of my hometown and beautiful things is my only career motivation. For all hardships encountered these years, my passion never faded in the least.” From the vast Dongting Lake to the charming Xiufeng Mountain, natural scenery of Hunan was a giant magnet to him. 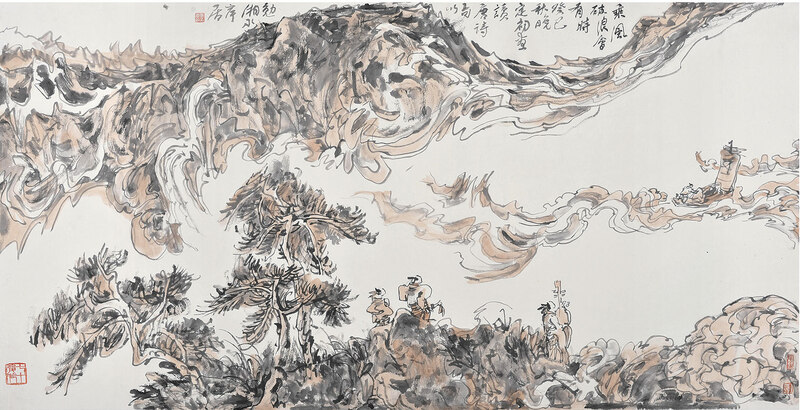 Eventually, those diverse landscapes with full expression can be found in his paintings, which were spiritually self-revealing as well as an ode to artistic styles of masters (including ancient ones such as Dong Yuan, Ju Ran, Huang Gongwang Wang Meng and modern ones like Huang Binhong). “Scenery from without, beauty from within; here and there my stroke goes, just the way the mountain runs.” Far beyond a faithful reproduction of outside world, his paintings, with skillful, dynamic brushwork and ingenuous yet connotation-loaded images, are imbued with poetic beauty of traditional Chinese ink painting and profound culture of Hunan area. According to his will, Huang’s family donated 40 of his works to Hunan Museum. Therefore, we organized this special exhibition to express our deep gratitude for their generosity as well as their contribution to the spread and inheritance of Hunan local culture, hoping the public will gain aesthetic pleasure from the great works. Born in Yongfeng town, Shuangfeng county of Hunan province, Huang Dingchu (1943—2016) had multiple titles: member of the China Artists Association and Printmaking Artists Association, consultant of Chinese Painting Art Committee of Hunan Artists Association, art editor for Hunan Literature in 1979, Deputy Secretary General of Hunan Artists Association in 1984 and landscape painter in Hunan Painting and Calligraphy Research Institute in 1990. 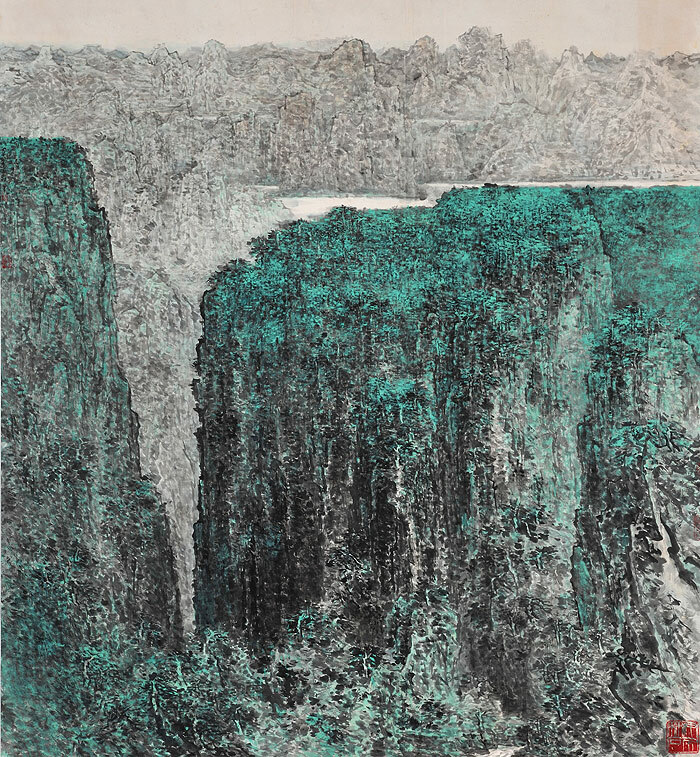 His landscape painting works exhibitions were held in Changsha in 1997, 2006, and 2012. In 2012, Chinese Contemporary Artists—Huang Dingchu, a collection of his painting works was published by People's Fine Arts Publishing House.